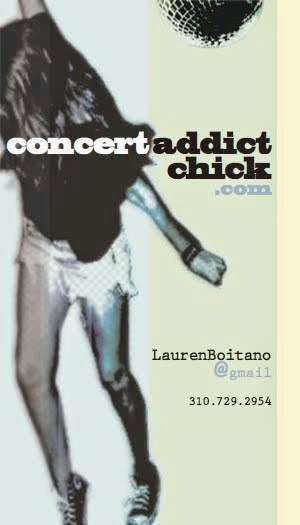 CONCERT ADDICT CHICK: The Coachella 2013 Lineup Is FINALLY Here!!! The Coachella 2013 Lineup Is FINALLY Here!!! 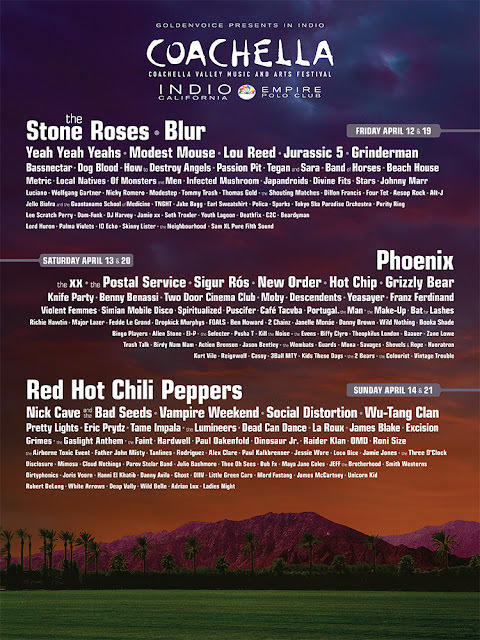 Alright so, it took a little longer than usual for Goldenvoice to give up the goods, but, at long last, the Coachella 2013 lineup has FINALLY been released! I have to admit I'm not too thrilled with the headliners although I am stoked to get to see Blur (because I was under the impression they were never going to perform together again) & I love me some Phoenix but they don't seem big enough to hold the only Saturday night headlining spot. I'm hoping there might be some additions there but we'll see. Other acts I'm pumped for (whether I've never seen them before or have seen them & just KNOW they're stellar live) include the following: New Order, Violent Femmes (YES!!!! ), Spiritualized, HOT CHIP, Grizzly Bear, Tame Impala, Alt-J, Lord Huron, Wild Belle, Tanlines, Jessie Ware, Moby, Modest Mouse, Lou Reed, Yeasayer, The Stone Roses, Jurassic 5, How to Destroy Angels, Band of Horses, Beach House, Local Natives, Of Monsters & Men, Divine Fits (SO good), Aesop Rock, Nick Cave & The Bad Seeds, The Lumineers, Purity Ring, Dam-Funk, Benny Benassi, Portugal, The Man, Bat for Lashes, Major Lazer, FOALS, Ben Howard, Janelle Monae, Booka Shade, Theophilus London, Vampire Weekend, WU-TANG CLAN, Pretty Lights, La Roux, James Blake, Father John Misty, Cloud Nothings, Smith Westerns, Hanni EL Khatib, White Arrows & probably many more once I start researching the artists I don't know!! Do you Coachella homework, people ;-) It always pays off!